Summer Season to welcome back previous finalists to compete at EGX in front of live crowds. The fifth season of Hearthstone’s ESL Premiership will see eight returning players and 8 new challengers battling for the biggest prize pool that ESL UK has ever offered for the competition. Sixteen players will compete for their share of £8,000 during the Summer Season, which is powered by Intel. The final will take place live on stage at the ESL Arena at EGX. The sixteen competitors who will throw their cards into the ring are the returning finalists from season four including champion Ben 'BigBen' Chapman plus 8 new challengers from the open qualifiers. The ESL Premiership’s Hearthstone competition has never had a repeat winner, so we’re bound to see unpredictable and exciting gameplay. Players across the UK and Ireland who wish to join the Premiership have two opportunities to qualify and join the elite players: the 12th - 13th and 19th - 20th June. Once those matches have concluded, we head to the group stages - where matches will take place on Friday evenings for nine weeks, starting on 6th July and running until 31st August. These rounds will begin at 7pm BST and will last until 11pm BST. The grand final, held at the ESL Arena, will take place across the weekend of 22nd - 23rd September. The semi-finals and final round will use a double elimination bracket, mirroring the success of last season. The eight players taking part in the Summer Season that re-qualified from last year are; Danswf, Deathsie, HelloLeeroy, Coldhands, BoarControl, Mysterious, ToastMonster and BigBen - with the latter two contenders the runner-up and winner from season four. Ben 'BigBen' Chapman, season four’s winner, is thrilled to see the action kick off again - "It's great to be back for another season of the Premiership. There have been many changes and new faces since the last tournament it'll be exciting to see how it pans out". The ESL Arena features two huge stages for professional competition across a 5,000 square metre space. The ESL Arena also has an open LAN area, shops and the Intel Experience Zone, where gamers can get hands-on with Intel’s latest technology. If you’re a player and you’d like to throw your hat into the ring for the next season of the ESL Premiership powered by Intel, head here for more information: https://play.eslgaming.com/uk. Sign-ups for the first qualifying round are open until 12th June at 7pm. The second round is open until 19th June. You can catch the action every Friday evening from 6th July - 31st August from 7pm at www.twitch.tv/esl_hearthstone. 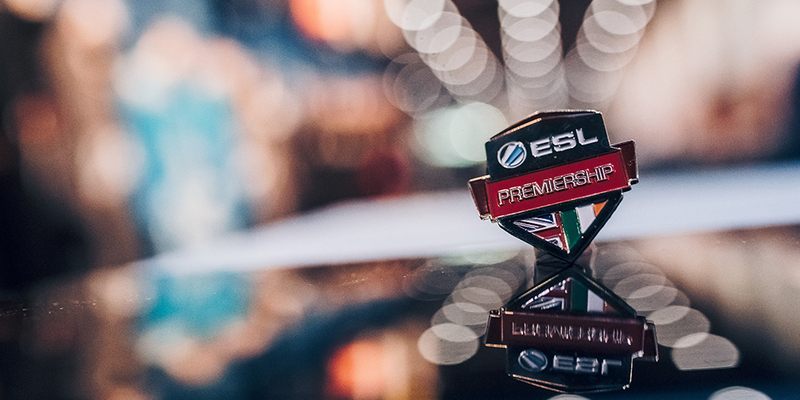 Follow along using the hashtag #ESLPrem, and head to @ESLUK on Twitter, @ESL.UK on Instagram and ESL UK on Facebook for updates.